Glengarriff to Adrigole 16.1 km Leave Glengarriff on the main Castletownbere Road and turn right at the campsites. Follow bog roads into the State forest. At the Beara way-marked junction the track rises south of Magannagan Loughs to the gap between Gowlbeg 362 m (1,178 feet ) and Sugarloaf 581 m (1,887 feet) mountains, following the old Glengarriff-Castletownbere coach road. This is probably a much older medieval route. the Beara way then follows a quiet tarred road to Adrigole. Adrigole to Castletownbere 21.7 km Castletownbere to Allihies 13.6 km Castletownbere to Dunboy 5.6 km From Adrigole the Beara way follows the old Castletownbere-Glengarriff coach road again, just above and parallel to the Ring of Beara road. The route then rises up the foothills of Hungry hill and heads west just above the coarse field fences. It skirts Hungry Hill and drops back down at Park Lough where it runs close to the northern side of the lake. From Hollyhill to Castletownbere the route follows a network of bog roads. the Beara way leaves Castletownbere heading north on the Tir-Na-Hilan Road, before starting to run west. The route then climbs uphill. At a junction ahead you can continue through forest to Allihies, or follow the road downhill to Aughbrack to meet the Allihies-Eyeries section of the Beara Way. The main route continues to Allihies through forestry until you meet a tarred road. At Knockoura, follow the West and turn right onto an untarred road, which cuts uphill through forestry. The route then runs west over the hill towards Allihies. 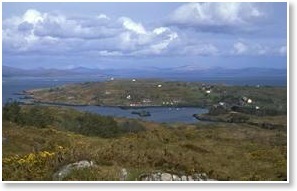 the Beara way runs for a short distance along the main road southwest to Allihies. It then continues past Ballydonegan beach and follows an untarred road along the shore cliffs where the path crosses open hillside until striking a bog road which descends down to the main road. The route crosses the road and drops down southwest towards Firkeel and over the hill 3 and southwest towards Crow Head. Retrace your steps to Foilbraud. Continue straight on past the outward section of the Beara way on the right and head north to meet a tarred road. Turn left and Dursey sound is approximately 1 km away. 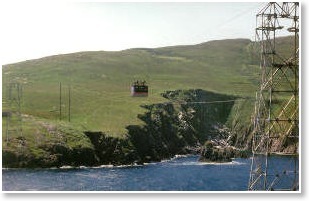 Take the Cable Car to Dursey Island. 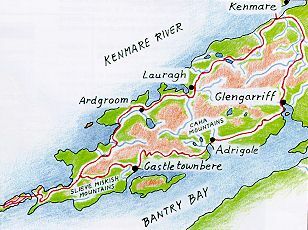 The Beara Way stretches the full length of Dursey Island. Follow the old road through the village of Kilmichael, bearing left about 1 km west of the village. the Beara way then runs southwest above the southern cliffs of the Island, to Dursey Head Return back along the Beara way you came as far as Tilickafinna, and bear left for the signal tower. 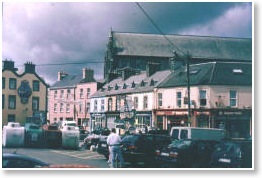 The route then runs north of Kilmichael village to re-join your outward route at Ballynacallagh. Allihies to Eyeries 11.2km Eyeries to Ardgroom 12.8km From Allihies heading north-west the route passes two reservoirs on the left and old mine workings. From Allihies the route zigzags over the hill towards Eyeries. At Aughabrack there is the option of going up the bog road towards Tir-Na-Hilan, and Castletownbere. 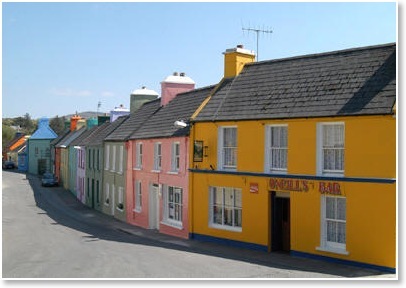 At Eyeries there is the choice of going through the village or following the Beara way along the shore past Eyeries Point. Both these routes meet on the shore at Trainmod. The route continues along the shore and travels in a north-easterly direction. Turn left near the Ballycrovane ogham stone and right after about 1 km heading for Lough Fadda. The route continues over open hillside, running north of the lake, rises and follows the ridge of the hill until it drops to the village of Ardgroom. Ardgroom to Inchiquinn Lake 22.5 km At Ardgroom the route follows the quiet backroad running alongside the Holly Bar. 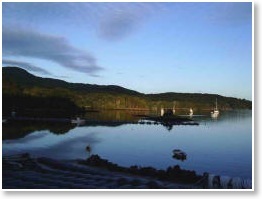 On the left is Ardgroom Harbour. Opposite Bird Island turn off onto a green road, which goes through a gap in the hills and further east passes a cluster of standing stones at Cashelkeelty. At Lauragh the route follows some quiet roads past Knockatee hill until it reaches the Ring of Beara Road again. Turn left for 200 m along the main road and turn right. the Beara way continues across country above the Clonee Loughs descending down a farm track at Uragh. Here it turns right on to the road skirting Inchiquin Lake. Inchiquinn Lake to Droumoughty Lake 7.2 km Dromoughty Lake to Kenmare Turn right for a short distance along the shore of Inchiquin Lake. From Inchiquinn Lake the route turns eastwards and follows a back road uphill until it fades out and goes across the open hill and over the ridge, before dropping down towards Droumoughty Lake and stone circle. 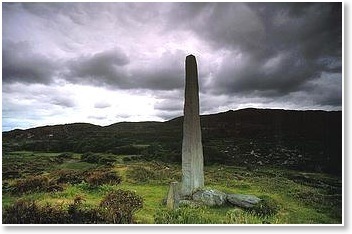 the Beara way passes between the lake and the stone circle. Here you turn left for Kenmare, the route running north-west and then turning sharply north-east to run parallel to the main road near Dawros and then into Kenmare. From Kenmare the Beara way follows a series of backroads towards Glengarriff via Bonane. Droumoughty Lake to Bonane 7.2 km Bonane to Kenmare 14.4 km For Bonane you turn right at Droumoughty Lake, and follow a steep hill road, which will take you on to the tunnel road at Releagh bridge. Turn left here to reach Bonane Church. At Bonane a quiet road crosses the bridge over the Bonane River. At the next junction turn left, and follow back roads into Kenmare. Turn right and on towards Glengarriff. From Bonane Youth Hostel cross the Bonane bridge and turn right at the "T" junction to head southwest. Follow the Beara way along the mountain path at Esk passing between Esk (361 m) and Barraboy Mountains. After coming through the pass in the hills the path descends back down towards the tunnel road on the Cork side. It is followed towards Glengarriff until reaching a right hand turn, which will take you through Glengarriff wood, and over the bridge beyond the picnic area. On leaving the woods the route follows the road past Lady Bantry’s Lookout, to Glengarriff. Bere Island 21.3 km From the pier at Rerrin village ( Lawrence's Cove) the route travels in a loop around the East End of the Island. It passes back towards the village passing a large wedge grave. There is the option here of taking a spur to the Martello tower (1.6 km) or going west from the village to the middle of the Island where a much longer loop can be undertaken. Laurence cove on Beare Island A prominent standing stone marks the middle point of the Island. Here the walker can keep right and follow the Beara way along roads back to the West End ferry. The alternative is to keep left and follow the longer track on the hill roads passing just below the Marian Year cross. the Beara way continues along open hill to the very western end of the Island towards the lighthouse. 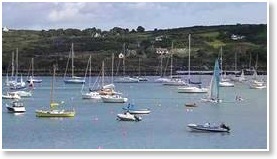 A green road and a short trek across country will take you back to the ferry to Castletownbere. De Ierse boeren zijn zeer gastvrij en hebben geen bezwaar als u over hun land wandelt c.q. klimt. Ze verwachten natuurlijk wel dat u indien u hekken opent, deze ook weer achter u sluit. Voor een eerste kennismaking met het lange afstand wandelen in Ierland is de Beara Way beslist een aanrader. Niet alleen de unieke combinatie van bergen en zee, maar ook de soms al duizenden jaren oude paden met prehistorische monumenten zijn ontelbaar. Door de ruwe en onaangeroerde omgeving ervaart men vaak de sprookjes waar iedere Ier in gelooft. De bewegwijzering d.m.v. met dit symbool gemerkte paaltjes is goed. Omdat de Beara Way een rondweg is, heeft hij geen officieel start- of eindpunt. 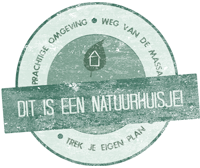 De uitgezette routes zijn allemaal te doen door normaal fitte deelnemers. Op het Beara schiereiland is er 200 km aan wandelroutes uitgezet. Ook over de landelijke weggetjes kunt u al veel zien. U kunt echter ook crosscountry wandelen en bergbeklimmen. U wandelt langs Loughs (meren) en rivieren met uitzicht over de fjordachtige Kenmare River en de bergen van Iveragh. Terwijl u het schiereiland ingaat, klimt u op de Caha mountains en de Slieve Miskish Mountains. Deze bergreeks vormen de ruggengraat van dit schiereiland. Het contrast tussen de versteende stilte van gigantische rotsmassa's en de prachtige diepblauwe golven van de Atlantisch Oceaan zijn voor iedere wandelaar een lust voor het oog. De dorpen Ardgroom, Eyeries en Allihies vormen zeldzaam kleinschalige bewoning. External links are anonymised ensuring your privacy.